Enjoy a relaxing full body, deep tissue massage using lava stones, followed by a Volcanic Ash Scrub and Mud wrap, Mineral Explosion Tub Bath and to finish, a Magnesium Foot Soak and Foot Massage. You are sure to feel relaxed and rejuvenated after this special 3-hour experience. 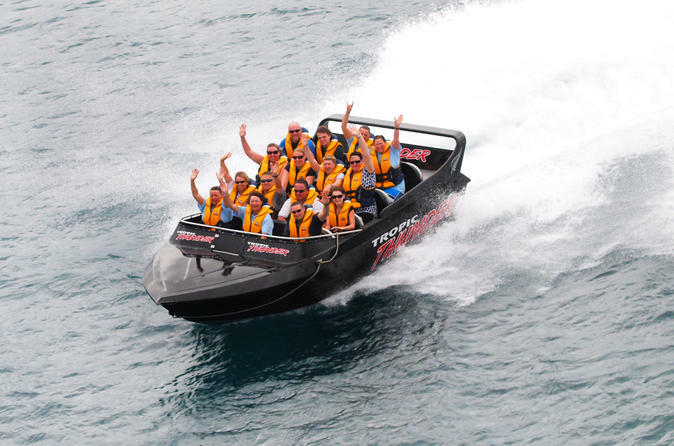 Get introduced to Vanuatu’s original jet boat tour! Be prepared to get wet as you jet across the crystal blue waters at speeds up to 70km/hour while performing exciting twists and turns.